Let me be the first to welcome back stock market volatility. OK, maybe I’m not the first, but I am probably the loudest. In the past 30 days, the Dow rose from 26,598 (Oct. 1) to 26,828 (Oct. 3 – the high for the year! ), then dropped back down to 24,875 (Oct. 30). In typical fashion, the month of October has been a rollercoaster. Morgan Stanley’s top stock strategist is the first to fall victim to Chicken Little Syndrome, telling reporters the October sell-off is morphing into a bear market. But to quote Mark Twain, reports of this bull market’s death are greatly exaggerated. We are only looking at a correction of about 7.25 percent. The stock market traditionally corrects about 10 percent every year. A 5 percent correction typically happens about 3 times every year. It has been such an unusually low period of volatility, this is only the second correction we have seen in 2018 (the first was in January). Despite what you may hear on CNBC, the sky is not actually falling. The data show what we’re seeing in the markets right now is pretty standard for a midterm election year. 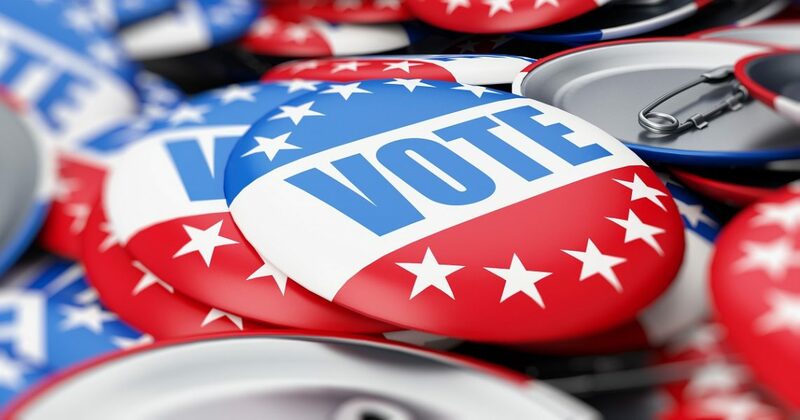 The Capital Group analyzed more than 85 years of S&P 500 data and found that volatility typically increases during a midterm election year, followed by a strong rebound following election night. 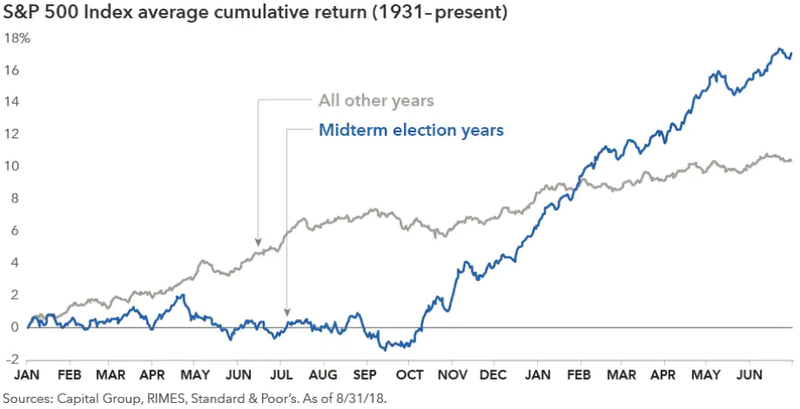 The average one-year return following a midterm election has been 15 percent since 1950, more than double all other non-midterm years. Turns out, midterm election years are a great time to invest. Who knew? History shows this return performance occurs regardless of what political party wins.  But for fun, let’s game out the different scenarios and what they might mean for your retirement portfolio anyway. This is the most likely scenario, considering the president’s party normally takes a hit during the midterms. 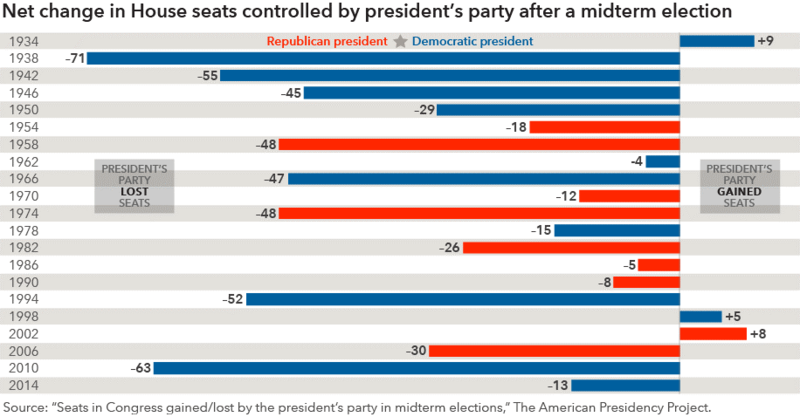 On average, the president’s party will lose 30 seats in the House and 4 seats in the Senate. Throughout American history, there have only been two occasions where the president’s party gained seats in both chambers: during the Great Depression, and right after the 9/11 terrorist attacks. The market doesn’t react negatively to a change in House leadership, it reacts negatively to uncertainty. 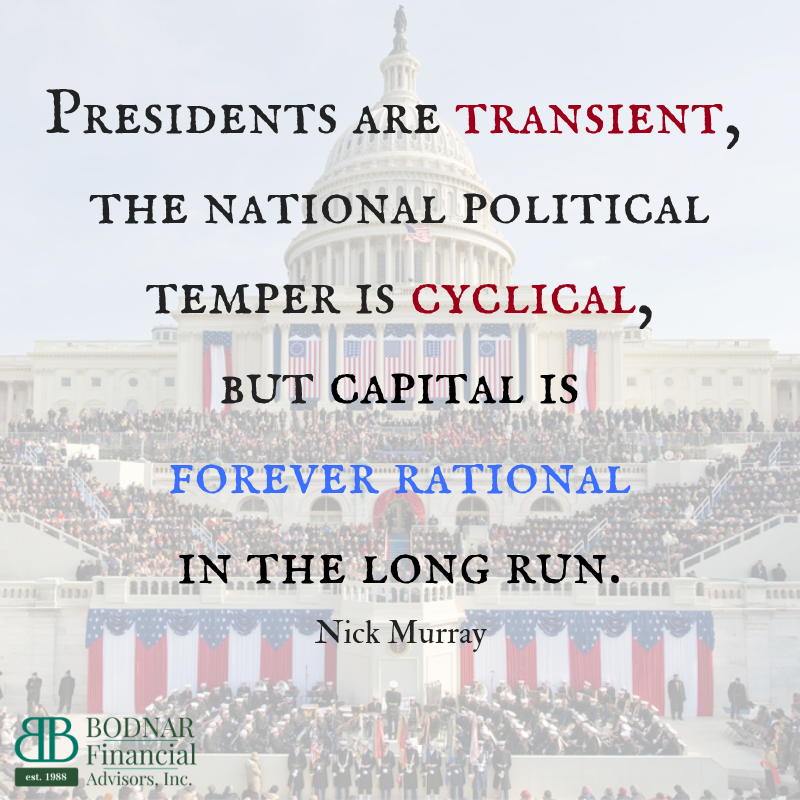 That’s why midterm election years tend to see slower returns early in the year, and steeper rallies as the results of the election become more predictable. In other words, the market is colorblind to America’s political map and just glad the election is over. History shows impeachment causes a short-term increase in volatility but the market quickly recovers. 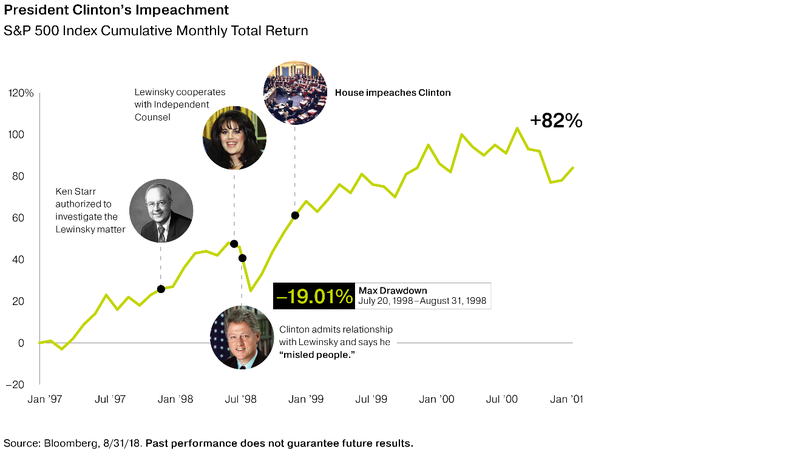 Despite President Clinton’s impeachment proceedings in 1998, the S&P 500 increased by 82 percent over the entirety of Clinton’s second term. Don’t forget, a president can be impeached and stay in office. The House votes to impeach, but removal from office requires a two-thirds majority vote in the Senate. This scenario is unlikely, but completely possible. As I write this, Real Clear Politics has 34 seats in the “toss up” category. 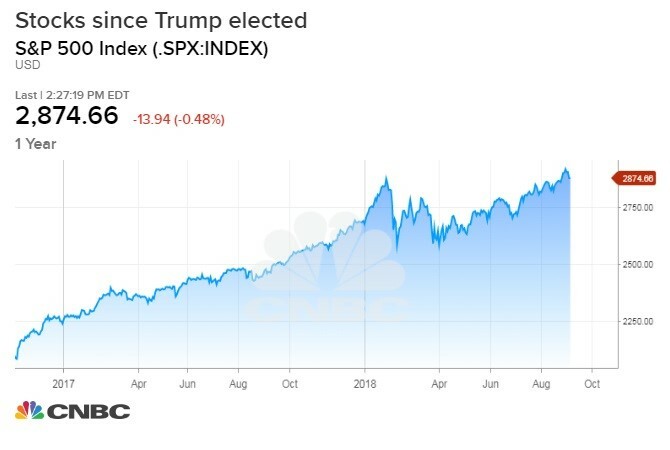 The market has proven to bounce back strongly after a midterm election regardless of the majority party, so we shouldn’t expect to see a radical difference in reaction between scenarios 1 and 2. That being said, the anticipation of more tax cuts and deregulation can only add fuel to this already accelerating economy. We are in the most under-recognized bull markets in a long time, but make no mistake, the economy is growing. Most pollsters are not even entertaining the possibility of this outcome. Then again, no Beltway oracles predicted Donald J. Trump would be the next U.S. president, so we are leaving “scenario 3” on the table. A Democrat-led Congress would not be a disaster for your retirement portfolio. I repeat: a Democrat-led Congress would not be a disaster for your retirement portfolio. The market actually seems to prefer a divided government. Even if Democrats successfully pass legislation to roll back the 2017 tax reform law, it would be immediately vetoed by the White House. The executive branch is more powerful than ever before. The game has changed- Congress can’t sway markets the way it used to. There is nothing exceptional about the political moment we are living in. The market has marched on regardless of terrorist attacks, oil embargoes, presidential assassinations, war, you name it.